Are You Smarter Than A Bible Scholar? From a string of Southern-fried redneck jokes to international stardom, Jeff Foxworthy has parlayed a career detour — on a lark, the former IBM computer worker entered and won Atlanta’s Great Southeastern Laugh-Off contest in 1984 — into a hugely successful, multifaceted life. How multifaceted? Consider just how far this funny man’s crazy-like-a-Foxworthy antics have taken him: stand-up comedian (numerous sold-out tours and shows), largest-selling comedy recording artist in history (multiplatinum albums including Games Rednecks Play), bestselling author (26 books, among them three installments of The Redneck Dictionary; his autobiography, No Shoes, No Shirt… No Problem! ; and children’s stories Silly Street and Hide!!! ), animated-movie voice (The Smurfs, Racing Stripes, The Fox and the Hound 2), television star (The Jeff Foxworthy Show, Blue Collar TV), executive producer, radio personality (The Foxworthy Countdown) and savvy marketer (lending his name to greeting cards, beef jerky, BBQ sauces, Jeff Foxworthy’s Original Grit Chips — which are set to release in late 2012 — and more). Through all of that, Foxworthy is perhaps best known for his “…you might be a redneck” oneliners — prefaced with such witticisms as, “If your family tree doesn’t fork…”; his lead role in the Blue Collar Comedy empire, and his side-splitting turn as host of the successful game show Are You Smarter Than A 5th Grader? Speaking of game shows, Foxworthy, who has always been vocal and active when it comes to his faith in Jesus Christ, recently signed on to host a new program, The American Bible Challenge on GSN. 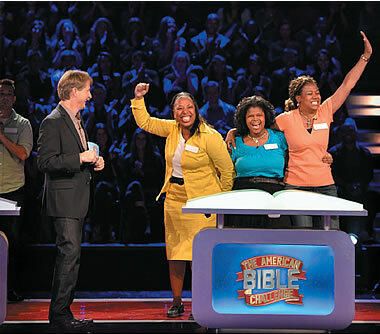 The studio-based game will test contestants’ knowledge of Scripture, with teams playing to benefit charities. 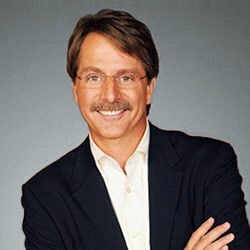 When it comes to blessings, Foxworthy knows whereof he speaks — he has received, and given, too many of them to count. He and his wife, Pamela Gregg — they wed in 1985 — are the parents of two almost-grown daughters, Jordan and Julianne. 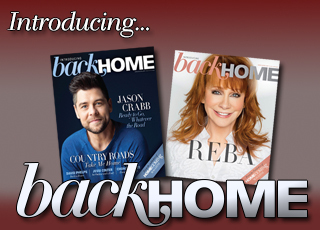 Foxworthy himself grew up in a family focused on faith, attending a Southern Baptist church in his small hometown of Hapeville, Georgia. Foxworthy has let the light shine by conducting a weekly Bible study with the homeless in Atlanta and by working with Young Life over the years. On the civic front, he also serves as a volunteer board member for the nonprofit Georgia Natural Resources Foundation, which raises funds to support the state’s outdoors efforts including wildlife, parks and historic sites. With such a full, multitalented life — and with untold adventures yet to come as he hosts the new Bible-quiz game show — it’s tempting to ask: Is there anything at all that Foxworthy can’t do? Aha! It sounds as if Foxworthy might not be seen auditioning for a role in the Gaither Vocal Band anytime soon … but there’s reason to believe he might eventually make something of himself just the same.